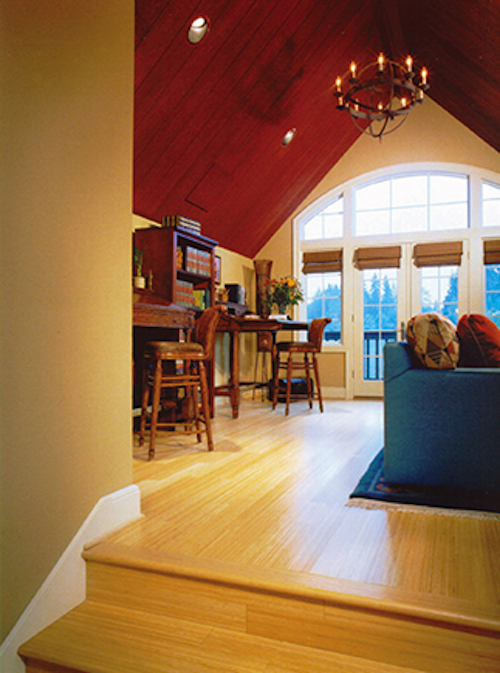 Bamboo is a popular flooring choice for many decors. From rustic to contemporary homes, many people choose bamboo for it unique and stylish look, not realizing they are actually selecting a grass for their floors. Bamboo is one of the world’s most versatile and rugged plants, growing in practically every climate and weather zone. While there are over 1,400 varieties of bamboo, there are only a handful that are acceptable to use as flooring. Of these few, it is generally accepted that Moso is the most durable and practical choice for both solid and engineered bamboo flooring products. 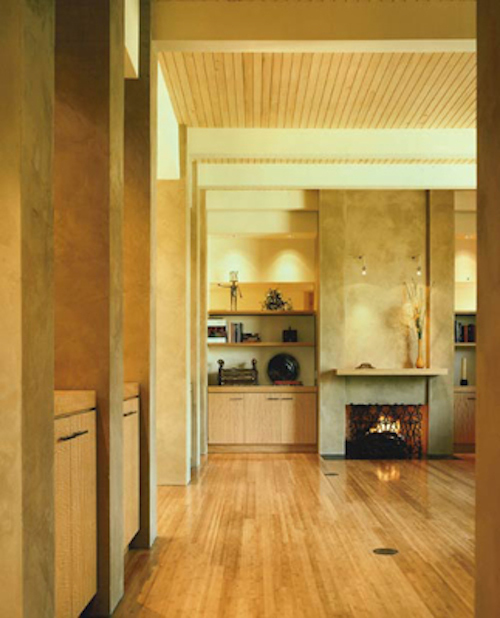 Among the primary bamboo flooring facts one must consider is the type of flooring construction to be selected. The first option is choosing between horizontal construction and vertical construction of the flooring boards. These differ in several basic characteristics. When horizontal construction is used, a single board is usually created with 15 bamboo strips. Three layers of the strips are placed on top of each other and pressed together. This process protects the more traditional look of bamboo with knuckles, using the grain to resemble natural looking bamboo grass. When vertical construction is utilized, each of 19 bamboo strips are placed on their sides and laid next to each other. This approach is used when a more linear look is desired, although this type of board is not as long-lasting as the horizontal construction board. Beyond these two basic methods of construction, bamboo flooring is sometimes created using strand-woven, woven, or stranded bamboo techniques. No glue is used to bind these strips as is the case with both horizontal and vertical bamboo boards. Instead, a great deal of pressure is used to compress bamboo fiber strands into floorboards. This process creates a more exotic, nontraditional look that many designers and homeowners find attractive. This process also yields itself to creating a wide range of looks and the use of many different color accents. Different lengths and widths of bamboo strips also help create a one-of-a-kind look when that is the goal. Another reason some choose this process is it is one of the most eco-sensitive floorings one can select, and the end product is almost totally free of adhesives. At the same time, the process used makes the floorboards the most durable of all bamboo flooring options. A final factor to consider with bamboo flooring is how it will be affixed to the subfloor. The decision to glue, nail or float the floorboards will help decide between solid or engineered flooring. Love the look of bamboo and happy it’s a renewable resource. I love the look of bamboo and how versatile it is. It also seems that the stuff can grow like crazy! Bamboo is supposed to be more durable than oak and renewable wchich is even better. I am not planning on doing flooring soon but as soon as I get my new place, a bamboo floor will be in the works for me! Wow, what a beautiful floor! I’ve thought about getting some bamboo for my dining room but I’m just not sure yet on what I want. I love the idea of bamboo flooring. Will definitely consider this when we next renovate our house. Those floors look absolutely amazing. I would definitely try them. I’ve been saying I want wood flooring instead of carpet (too much upkeep) once I move into a house, but I think I rather have bamboo flooring. It is so gorgeous! That flooring looks fabulous. I miss my hard wood floors since I now have carpet. Bamboo is a great choice for flooring. The sustainability component is very appealing to me. I do worry about its durability over time. I would love to talk with someone who has had it for a long time.